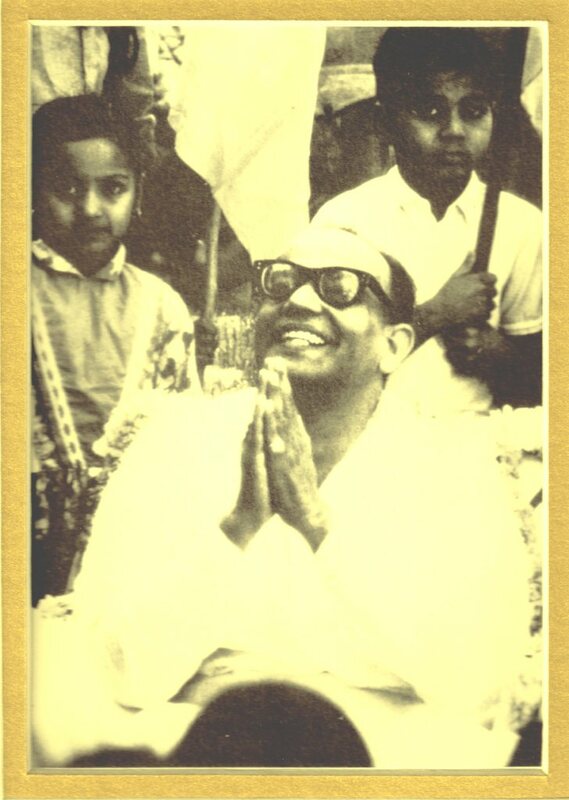 Prabhat Ranjan Sarkar (May 21, 1921 – October 21, 1990), also known by his spiritual name Shrii Shrii Anandamurti was one of the highest expressions of universal teacher in human history. He was the founder of Ananda Marga. In all of history, no philosopher explained the cosmic mystery and the spiritual reality more rationally than Shrii Shrii Anandamurti. His rational outlook was truly inspiring. He was a polymath: writer, philosopher, scientist, music composer, social theorist, and spiritual leader. Those who practice the meditation techniques he taught feel blessed and deeply inspired by his example. He talked about so many things and has written on so many varied subjects. I get overwhelmed with emotion when I try to describe the vastness of the written treasure he left behind. His writings are very intellectual. The spiritual practice he taught, however, is intensely devotional. A significant portion of his writings and speeches are dedicated to Divine Love. In his sophisticated language he always talked about devotion to God. If I have to pick few concepts from the vast number of clarifications he brought to spiritual philosophy, I would mention the following. He clarified that Self-realization is not possible without service to humanity. He also clarified the “relative truth” concept. He enriched us with his explanations of the relationship between the cognitive and creative aspects of Reality. He introduced the Microvita theory. Even though the Microvita theory is only a small fraction of his contributions, the impact of Microvita theory will be even greater than the Theory of Relativity and Quantum Mechanics combined when it is worked out mathematically. Microvita theory promises that the distinct disciplines of physics, chemistry, biology and psychology will merge into one science in the future. This entry was posted in spiritual philosophy and tagged Meditation, New Age, philosophy, Religion and Spirituality, Spiritual Growth, spirituality, Teacher, yoga. Bookmark the permalink.